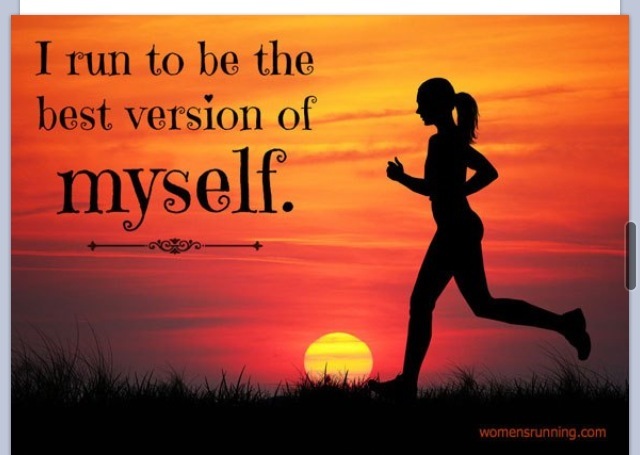 There are many reasons I was able to run 26.2 miles…proper training, shoes, gel, water, rest, music and all that goes in to the whole “process”. 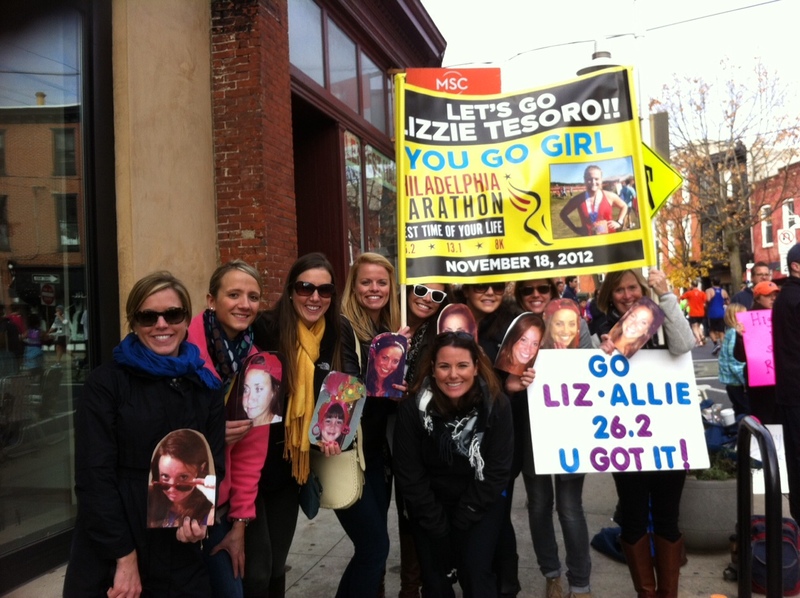 But the #1 most important reason I was able to make it through that finish line on Sunday was because of those who came to cheer all of us runners on. 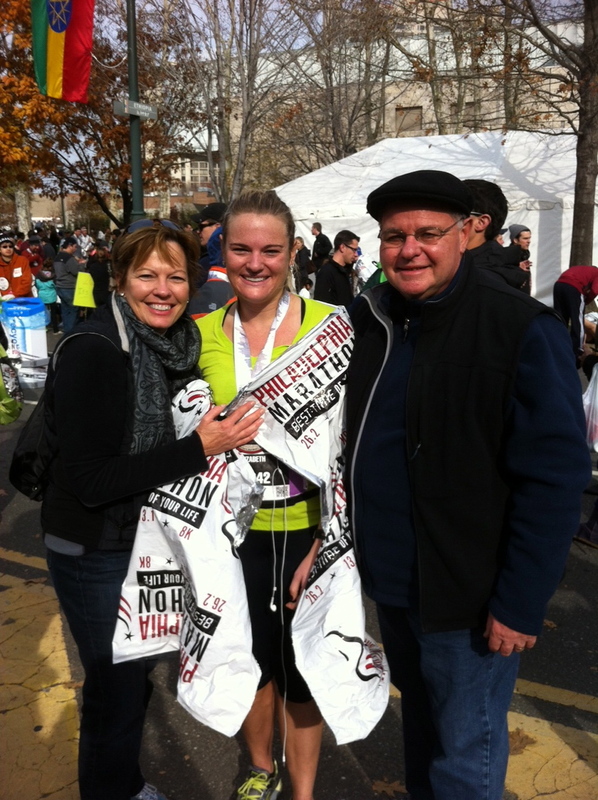 Jenna (a good friend from high school) also ran the marathon…her mom, sister, dad (he finished the race with her! 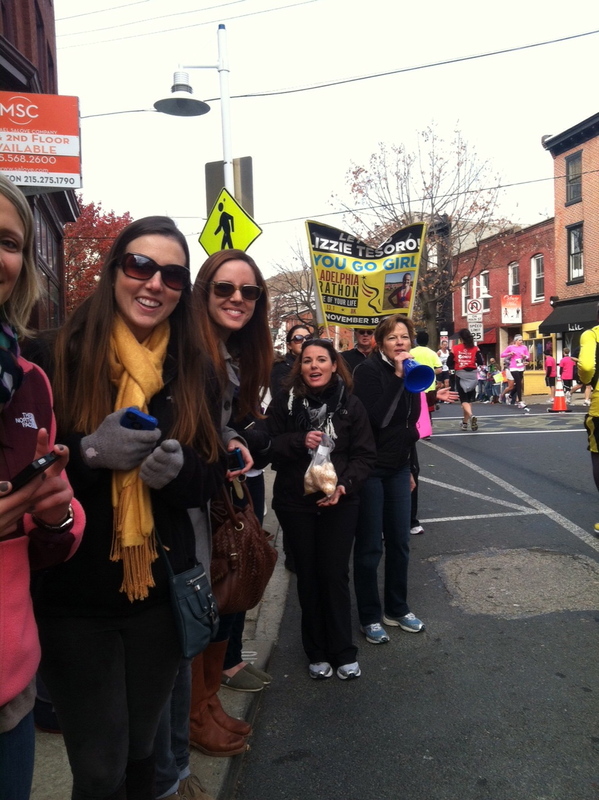 )…and her college friends came to cheer her on…I was so overwhelmed when I saw all of them plus my family and friends I started crying (the “ugly” cry) as I made my way up the hill at mile 19 in Manayunk. 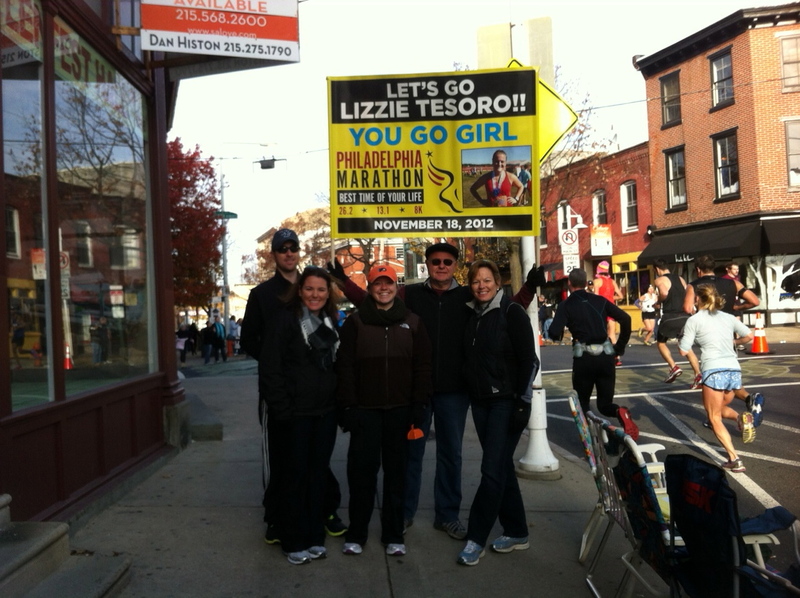 It was just the spot I needed to see everyone to keep me going until the finish. My mom was screaming “eye of the tiger, eye of the tiger Lizzy” as loud as can be in that megaphone I think my dad turned to Court and said “whoever gave her that megaphone is dead”. Love my fam! 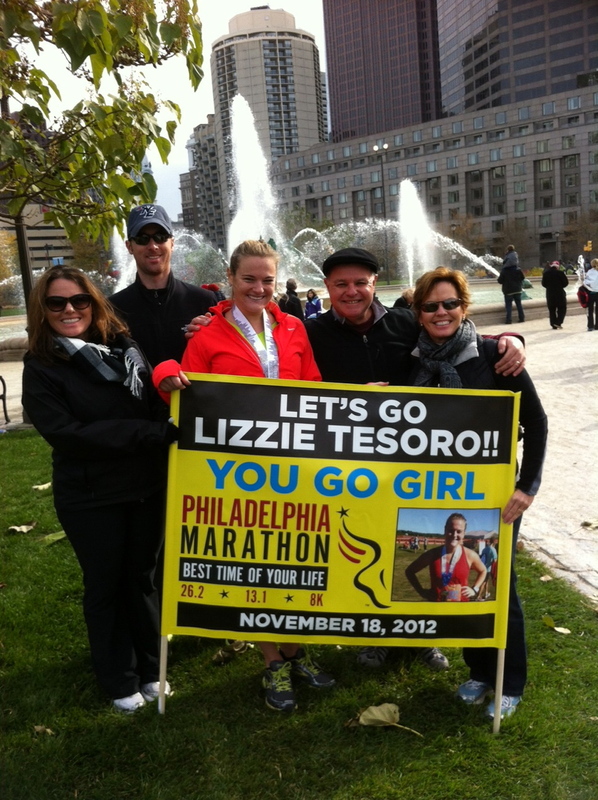 Jess and Dom came to see me at the finish…I was so happy to see them, words can not express how appreciative I was. Jackie had to work but still put together this adorable poster for us. Thank you!! 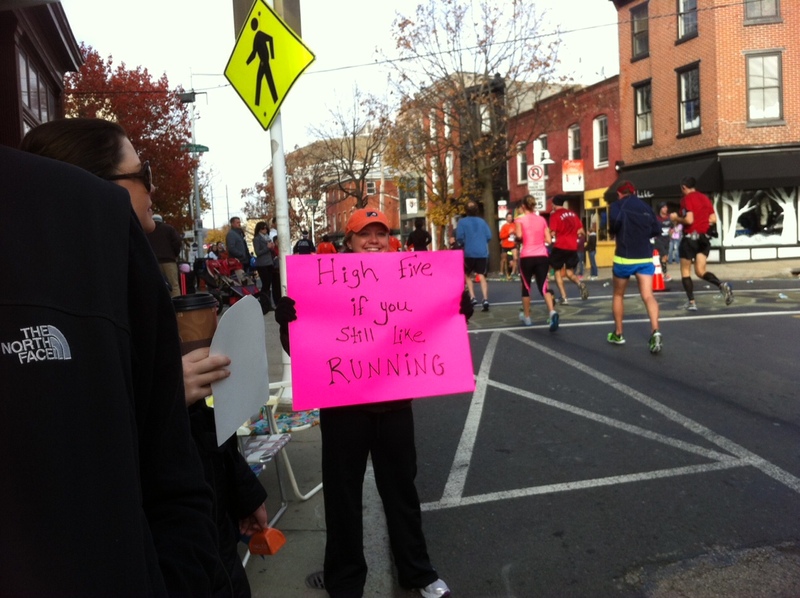 Court made this poster that said “high five if you still like running”…let’s just say her hand was bright red and swollen from the amount of high fives she got at mile 19 ! Love it! 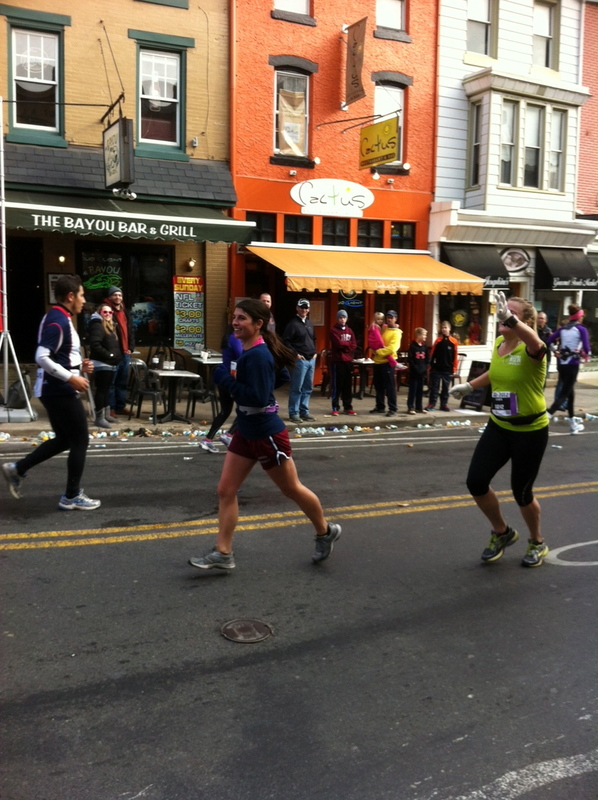 This is really the only actual picture of my running…the race photos from the event aren’t that great…I felt pretty good when this was taken around mile 20! 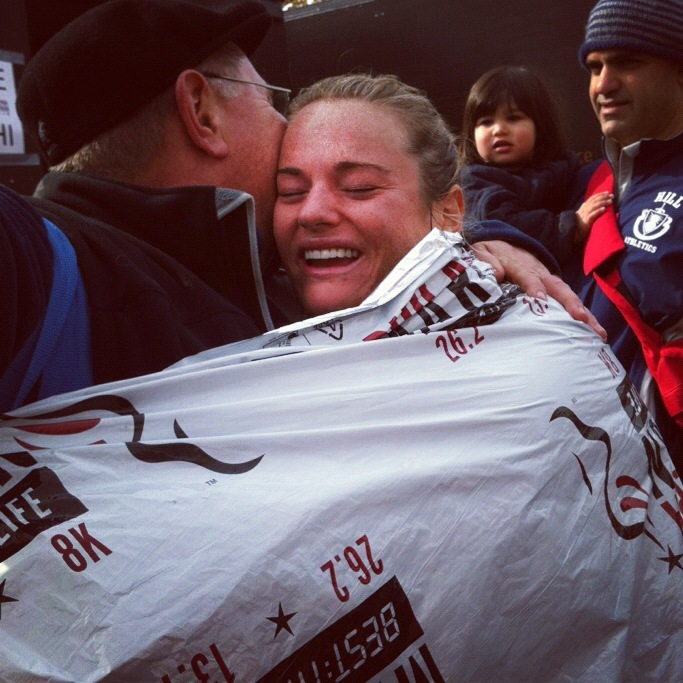 Crossed the finish line and saw my family and just couldn’t stop myself from crying tears of happiness! 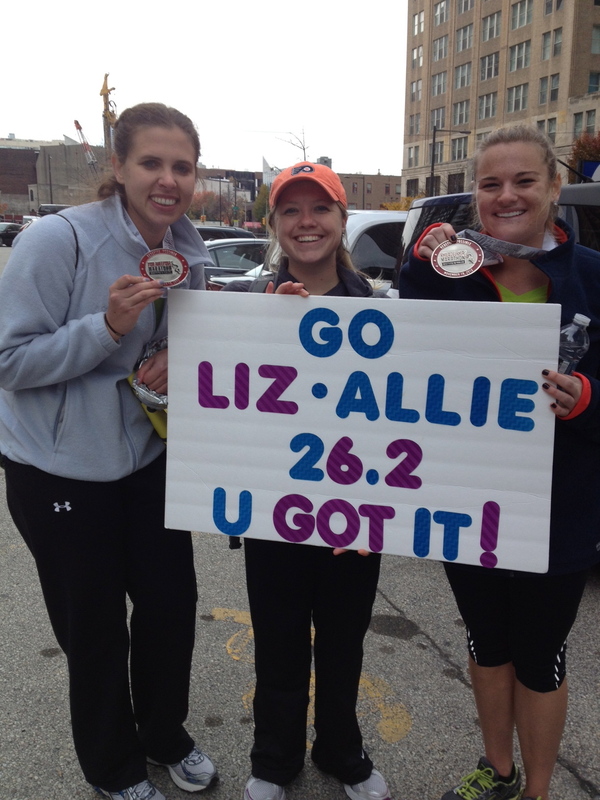 The race went so well..I didn’t really start to hit a wall until about mile 23. I ran about 10 minute miles for the entire race. 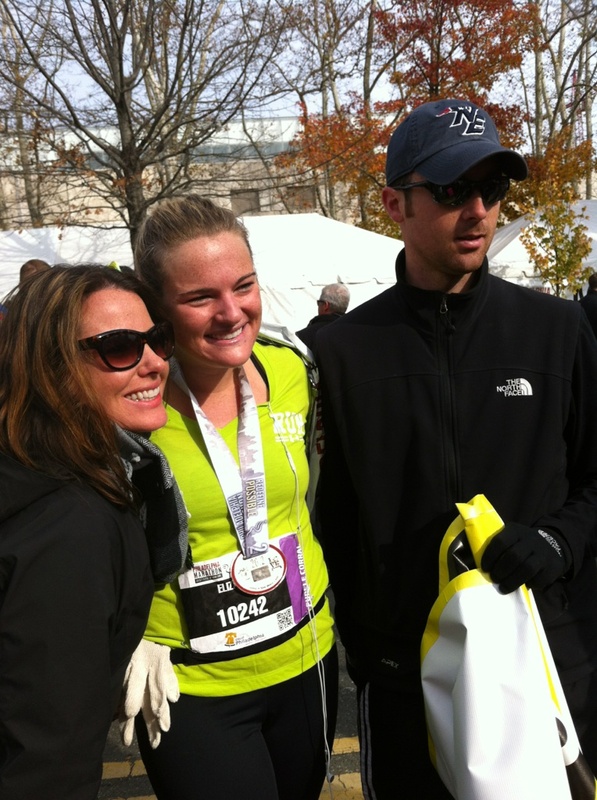 My goal was just to finish and to run the entire race…and I did just that. I also #beatoprah with a time of 4:26 ! Thanks Court N for coming for the entire weekend, taking off work and being there for it all (and you ARE fashionable no matter what Rose says)…! 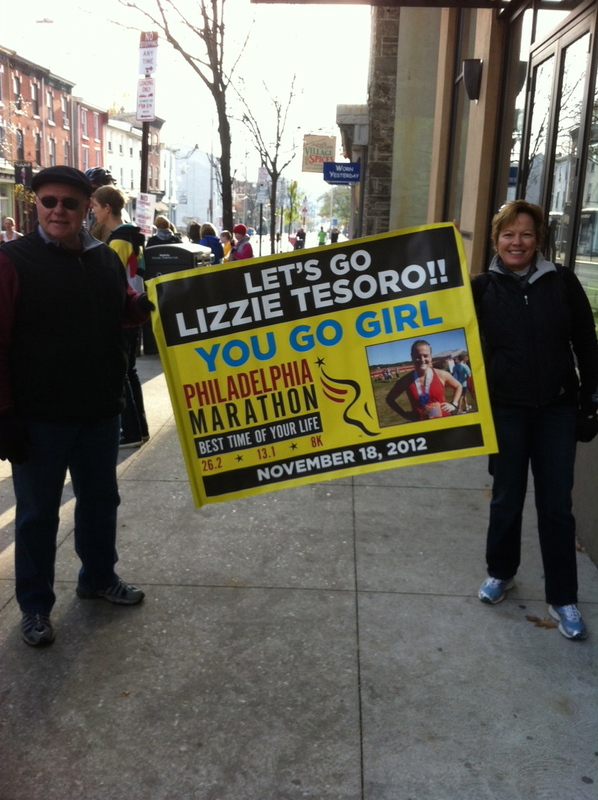 Thank-you Mom and Dad for welcoming everyone to our house with food, beds, drinks, figuring out the race map and where to station yourself, and helping me through all of my tough training runs. 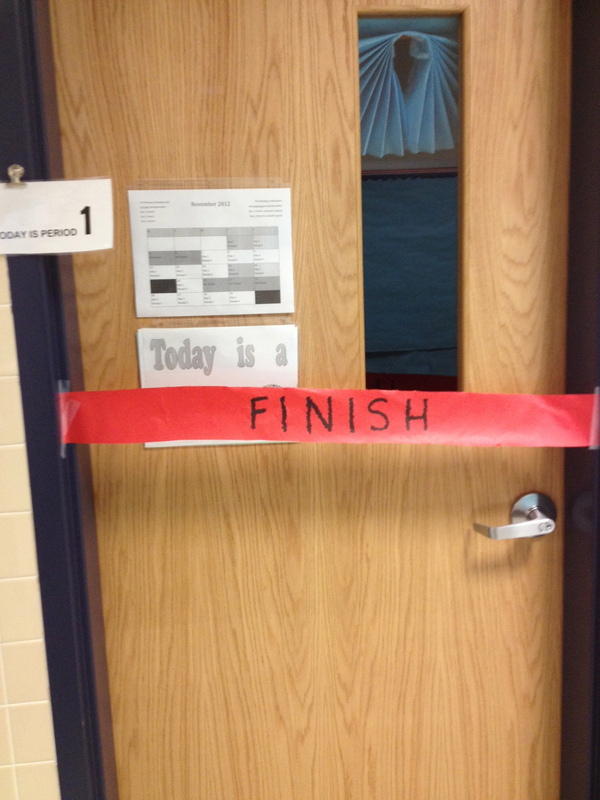 My adorable co-worker Cindy put this on my door to my classroom Monday morning…it made wobbling to work worth it! She also had a beautiful orchid waiting for me in my classroom with a gift card to iTunes for 26.2 dollars…how cute. 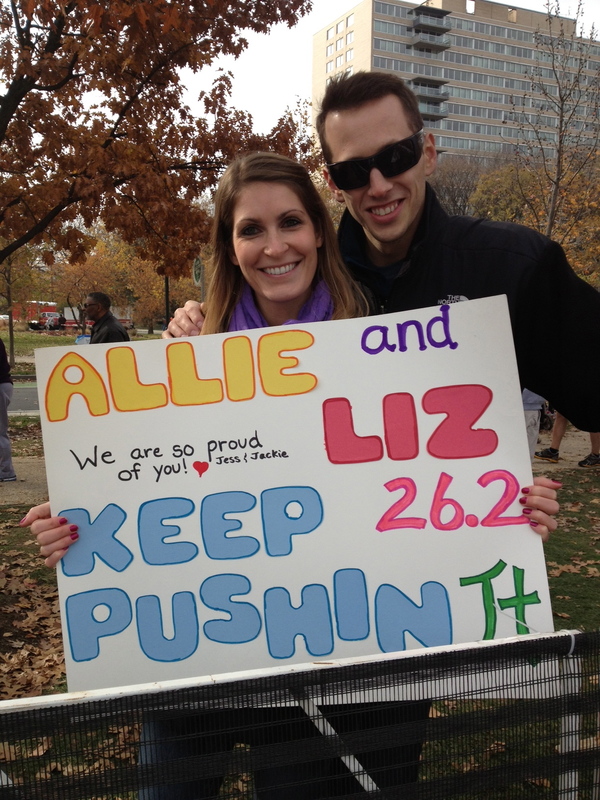 Thank you Meghan Beth for coming and playing “frogger” to get across the street to cheer me on…and to all the others who came by to support all of the runners!!! The question I have been asked a few times is “will you run another one?”…I don’t like to put limits on myself and say “NO NEVER” because you just never know. It was such an amazing day and so memorable that I feel like if I did another one it would never measure up to my experience. I can definitely see why running marathons can become addicting…it was an entire weekend of excitement and fun…it was also so cool to see how my body knew what to do and felt so relaxed for the majority of the race, it just felt very natural. I still can’t believe I did it… but for now I want to rest, enjoy the memories of the experience and get back to enjoying shorter runs and other forms of exercise (spin, lift, yoga, etc) and I will continue doing half marathons (love the 13.1 distance)….and I will be especially enjoying having my Saturday mornings to myself. 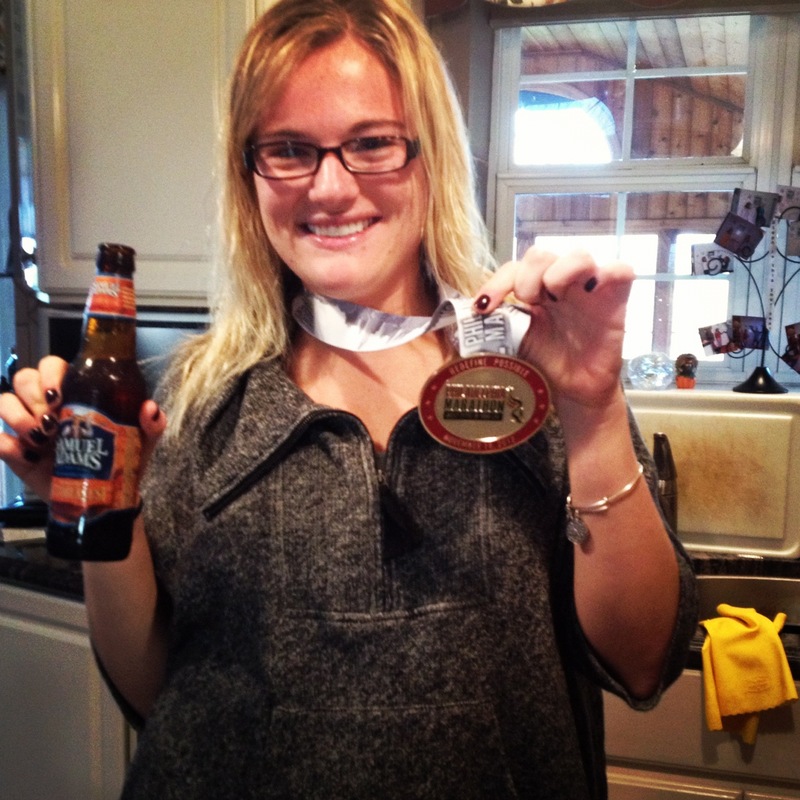 I am a marathoner…. 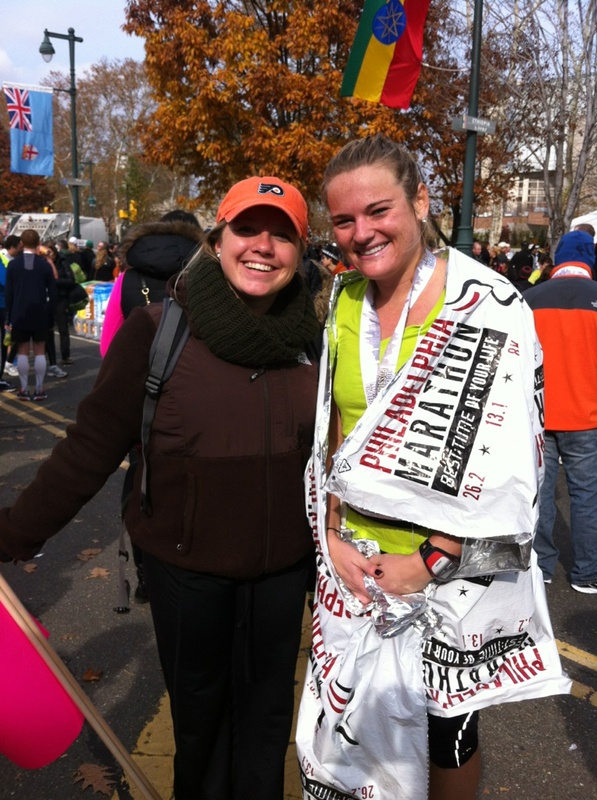 and I do not regret one training run, long run, or sacrifice that I made to make it through the 18 weeks of training because on November 18th… It was worth it…100% worth it to cross that finish line.